“If you want to heal a tooth the best thing you can give it is calcium and phosphate in a very specific concentration, with a little bit of fluoride. And when you do that, you super saturate the mouth with calcium phosphate, which helps restore the mineral balance. The only product that does that is MI Paste.” Dr Brian Nový, 2009 Winner of ADA Adult Preventive Care Practice of the Year. 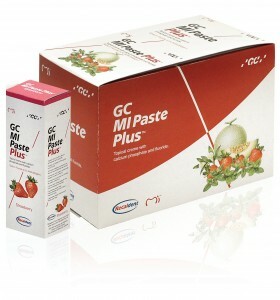 MI Paste and MI Paste Plus by GC America are the only products for professional use containing the active ingredient RECALDENT™ (CPP-ACP), a special milk-derived protein that has a unique ability to release bio-available calcium and phosphate (and fluoride in MI Paste Plus) to tooth surfaces. 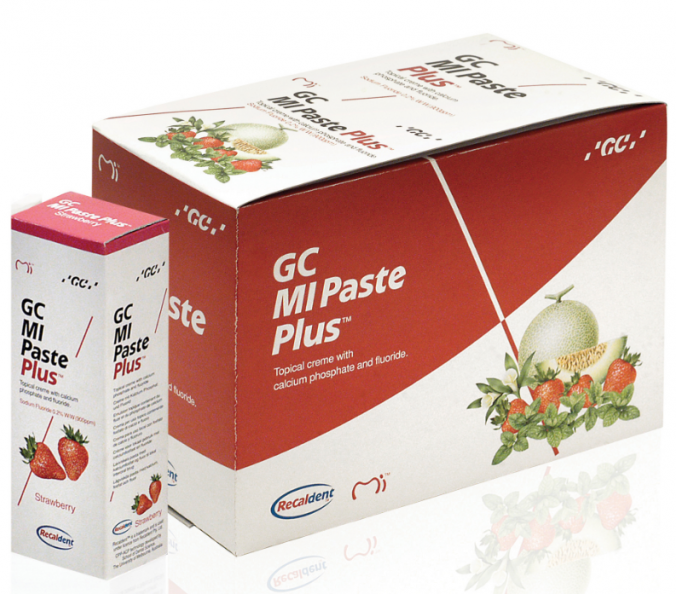 Since their introduction to the dental market, MI Paste and MI Paste Plus have become essential products in many dental practices who are focused on preventive care and minimum intervention dentistry. MI Paste Plus offers the same benefits of MI Paste, but is enhanced with a patented form of fluoride (900 ppm). Both products are safe and easy-to-use both in office and at-home and are both available in five delicious flavors: melon, mint, strawberry, tutti-frutti and vanilla.